Haw Contemporary is pleased to present broken-riddle piece, our season-opening exhibition with gallery artist Anne Lindberg and poet Ginny Threefoot. broken-riddle piece features 17 new drawings by Lindberg and a series of 14 poetry fragments by Threefoot. This collaborative exhibition is a dialogue between an artist and a poet who share an interest in making art that explores temporal and structural boundaries. The drawings and language interweave in the space of the gallery, inviting a range of interpretations. Lindberg understands her studio practice as a paced and daily conversation with place. From her studio in the Hudson River Valley, elements of light, space, and time coalesce from this mindset. 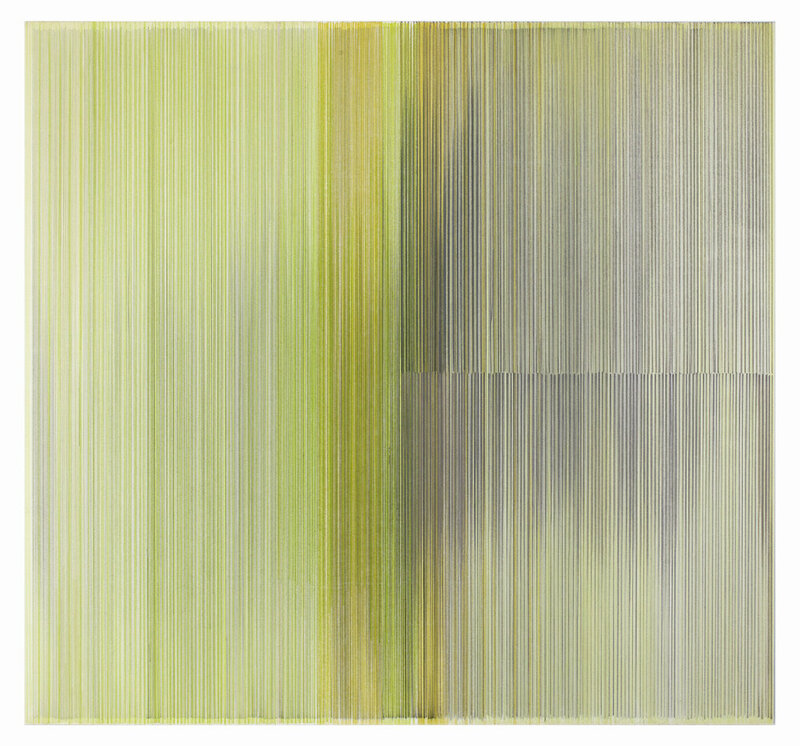 In her new body of work, Lindberg varies scale, position, and proportion in concert with differing intensities of color, light, and layering. Her graphite and colored pencil drawings generate fundamental questions about time, causality, and sequence, and language is utilized as a compass to generate expanded meaning. Threefoot’s poetry occupies a philosophical space where an investigation of selfhood is grounded in elemental markers. She uses the wall as a site on which language wanders, as the speaker wanders, in and out of fixed meaning. Lindberg’s work has influenced Threefoot’s experiments with sense and syntax, abstraction and representation, and the conjunction of ancient and contemporary worlds. Her poem is composed of fragments arranged to encourage non-sequential readings. Placed together, both Lindberg’s indexical drawings and Threefoot’s poetry discover a new sense of openness. Their linked voices speak to the vicissitudes of human experience.